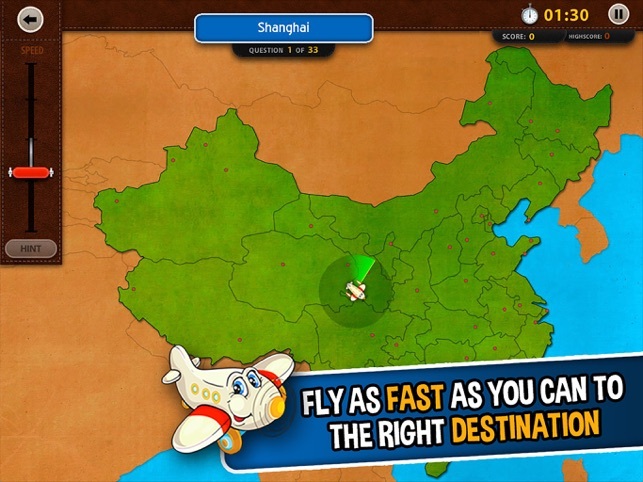 Climb aboard and get ready to fly - because GeoFlight China will take you to the skies in a geographical adventure! This award-winning game brings the world to your fingertips... literally! Can you name all 33 provinces? How about 77 cities? Could you correctly guess the names of 33 capitals? 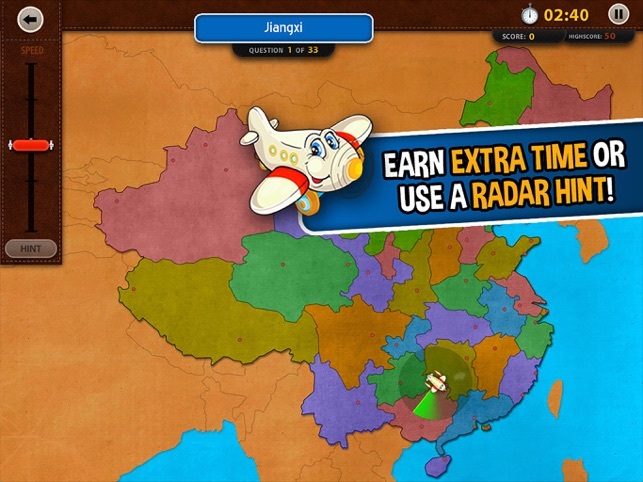 GeoFlight China is a fun, addictive, challenging and educational geography game that will push your brain to its limit! 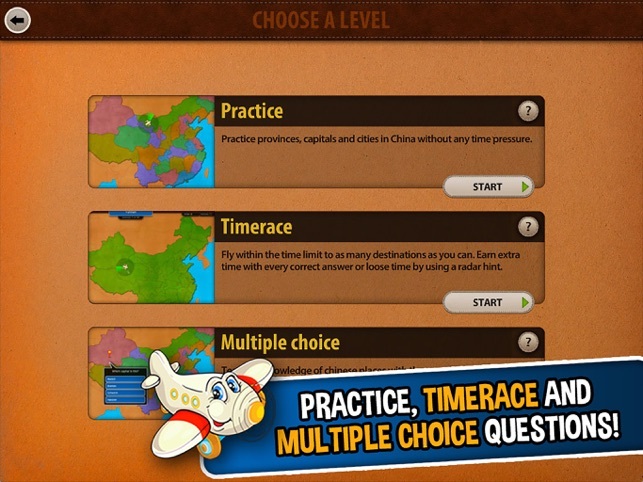 Soar through the sky and learn the names and locations of provinces, cities and capitals in a game like no-other! GeoFlight China is designed for the whole family! Whether you are a geography-geek or a rookie - GeoFlight China will be fun, entertaining and undeniably mind-bending! 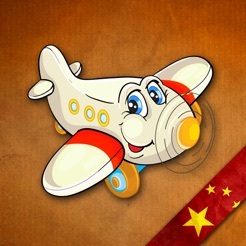 - Soar past nearly 77 cities and 33 capitals in all 33 provinces! 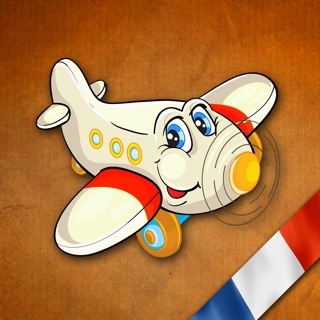 - Play in Chinese, English, Dutch, German, French or Spanish! 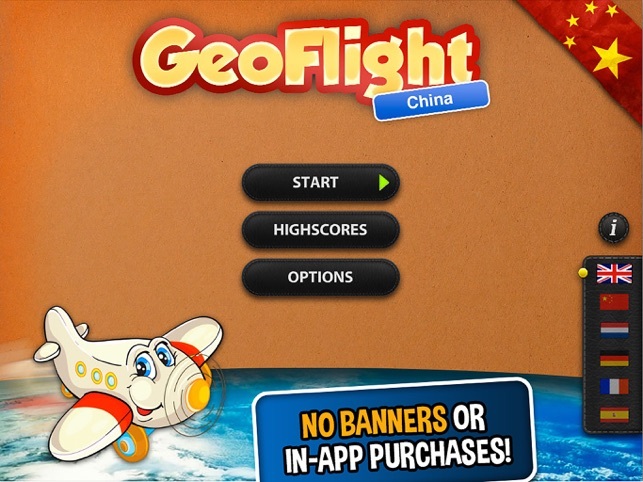 I own hundreds of geographical games and apps, including ten of these GeoFlight apps. These have become my all-time FAVORITES!!! They are so thorough because you learn the countries, the capitals, (including specific locations) and other big cities. FANTASTIC!!!! Can't say enough about how much I LOVE these ten apps!!! I am learning a ton, and they run so smoothly and dependably. HIGH-QUALITY!!! I hope you will develop one for each continent, especially Asia (like you did For Europe). IMPRESSIVE!!! Thank you!! !